David Loveday is located at the First Floor inside the Furniture Cave. Loveday Antiques is run by Alexander Loveday. The name Loveday has been synonymous throughout the Antiques Trade, Interior Designers and general public for over 40 years. The stock represents an interesting and stylish mix of not only Antique furniture but Art Deco and Retro furniture from around the world and also some exquisite peices of British Modern Art work which gives the showrooms a very unique feel. 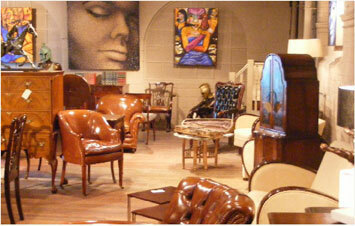 Our client base ranges from Interior Designers, Private buyers and collectors to a vast US and European trade clientle. At Loveday Antiques Ltd you have a chance to make your home unique and stand out from the rest.